Fenrir is one big lazy hound! Now at 5 he is a complete dog. He adores children, and a true gentle giant, but watch out for his long tail as this can come very keen when he wags it. Fenrir is definately Daddy's boy, which ever room his human Dad is in, you will find Fen there too! He loves the postman and jumps to greet him in the morning, standing as high as the Postie himself. 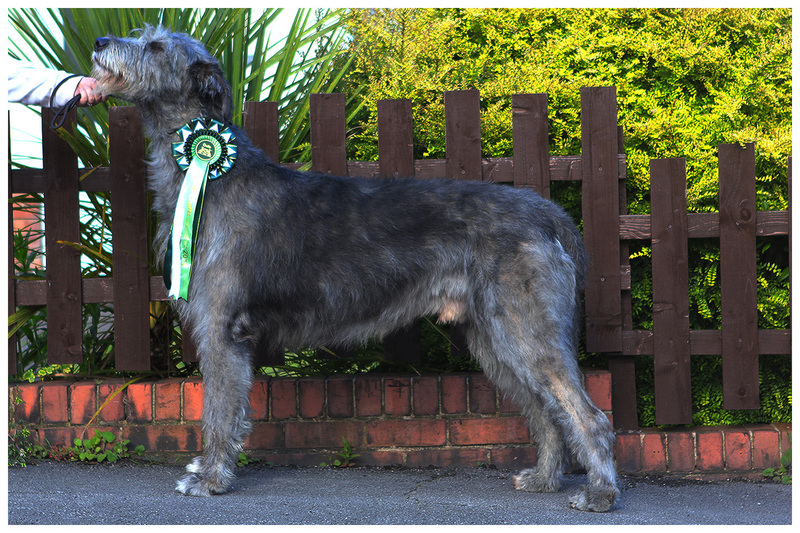 Though Wolfhounds are not guard dogs, he will let any passing dog know he is there because he is very inquistive! 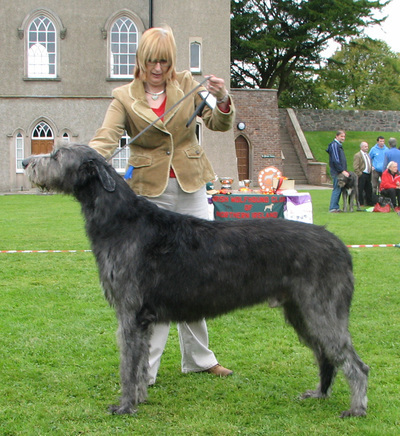 Fen was Dad's first edition into the world of Wolfhounds.